Varicose Veins - Diagnostic Healthcare Ltd. In conjunction with our partners there, we offer Vein treatments at The Manchester Vein Clinic. You can access cutting edge, minimally invasive varicose vein, thread vein and cosmetic laser treatments at affordable prices. Walk-in, walk-out the same day as your treatment at our private clinic. 0% interest finance is available if required. All situated at our private clinic in Manchester. We are a high quality clinic offering the full range of venous treatments, using state of the art diagnostic and treatment methods to patients from across the North West, including Manchester, Warrington & Liverpool, including the treatment of varicose veins, spider veins and thread veins. We ensure that every patient receives a tailored treatment according to his or her individual circumstances and needs. Our philosophy is that by giving patients the information on treatments, they are able to make an informed decision on their own healthcare. By offering a range of modern techniques coupled with evidence based medicine, we are able to support patients in making the right choices for them. 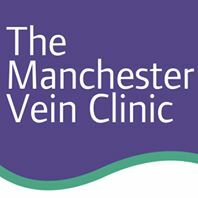 At The Manchester Vein Clinic, we are able to offer the full range of tailored treatments to each individual. We are unique both because of our close working relationships with leading vascular surgeons and also due to the full vascular ultrasound assessment performed by our highly experienced and qualified clinical vascular scientists. We will produce a bespoke report as part of your consultation so we can clearly understand your condition and decide the best treatment option to will suit you. We are the private clinic for varicose veins treatments in Manchester: say goodbye to veins… !